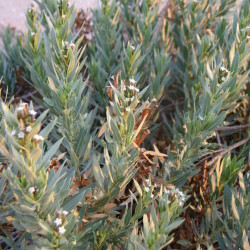 Rhazya stricta has the common Arabic name of harmel. 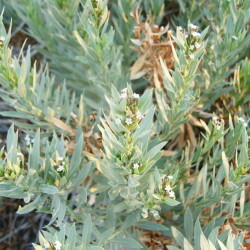 It is an evergreen shrub growing about 1 metre high. 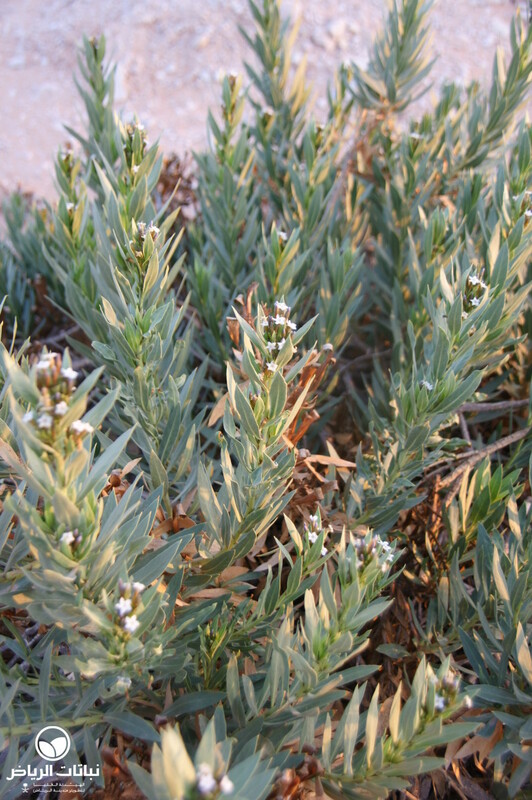 This native shrub is distributed over the Arabian Peninsula. The numerous branches lie close to the ground. 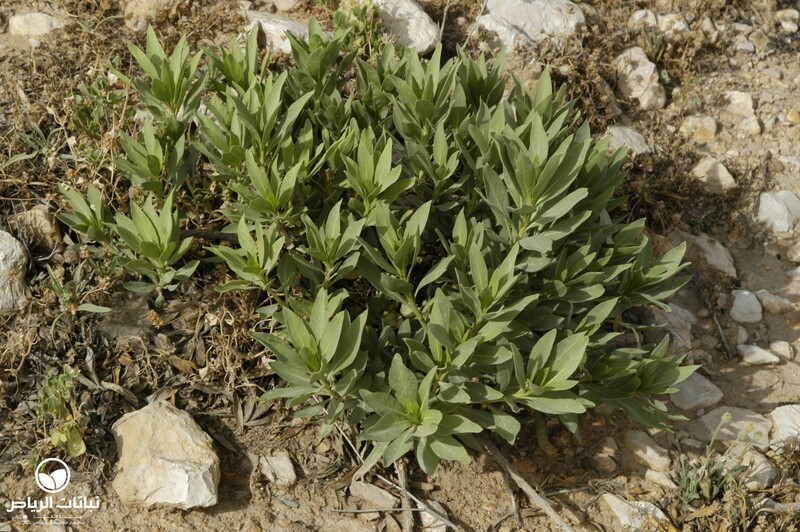 The leaves are alternately arranged, lanceolate and about 10 cm long. The foliage is very dense and leathery. 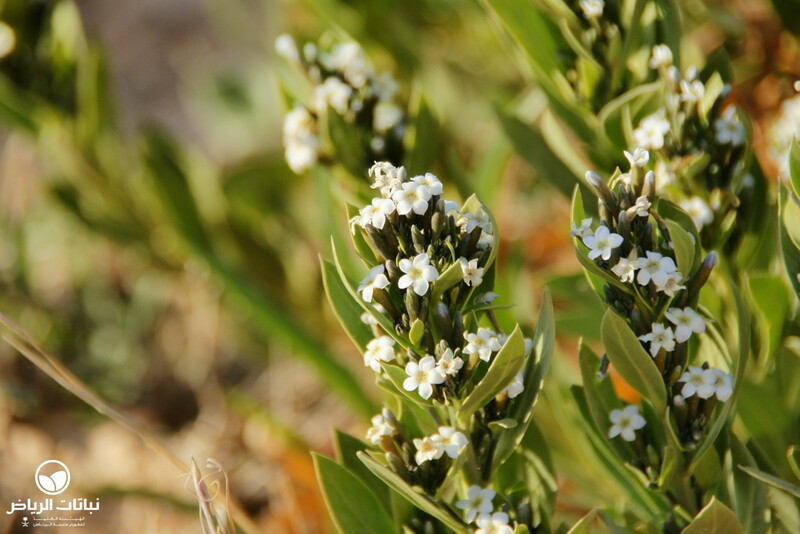 The plant is a member of the Apocynaceae, and is poisonous in all parts. 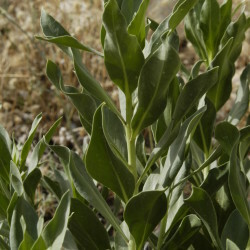 But, it was used as remedy for sore throat and fever. 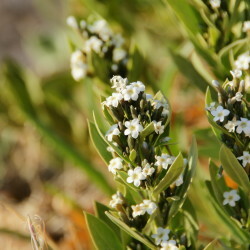 The small, white, star-like flowers appear in summer. 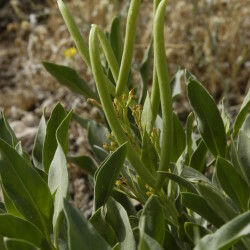 After flowering, the plant develops small pods with black seeds. 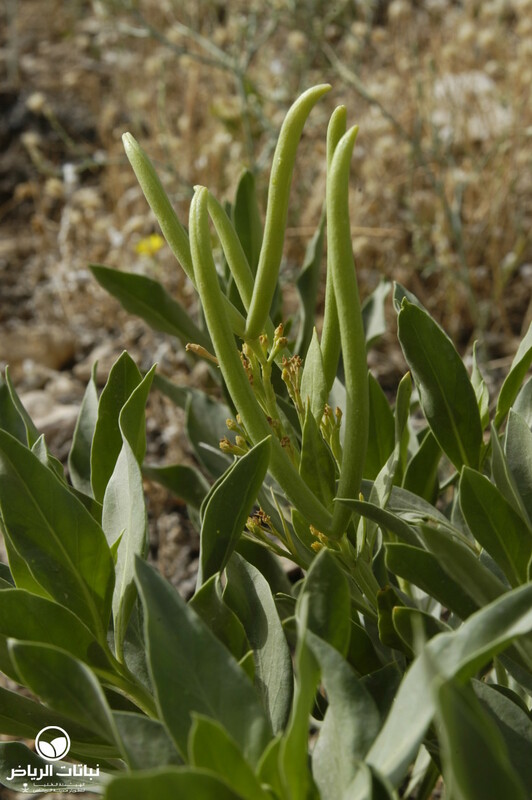 Propagation is by seed. 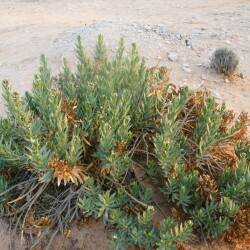 The plant is very well adapted to harsh desert conditions with its strong foliage, tap roots and high salt tolerance. 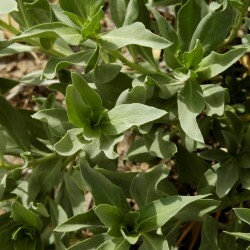 It grows on sandy or silty soil. 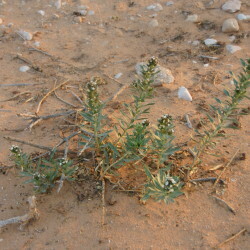 Rhazya stricta can frequently be found in Arriyadh and its surroundings. 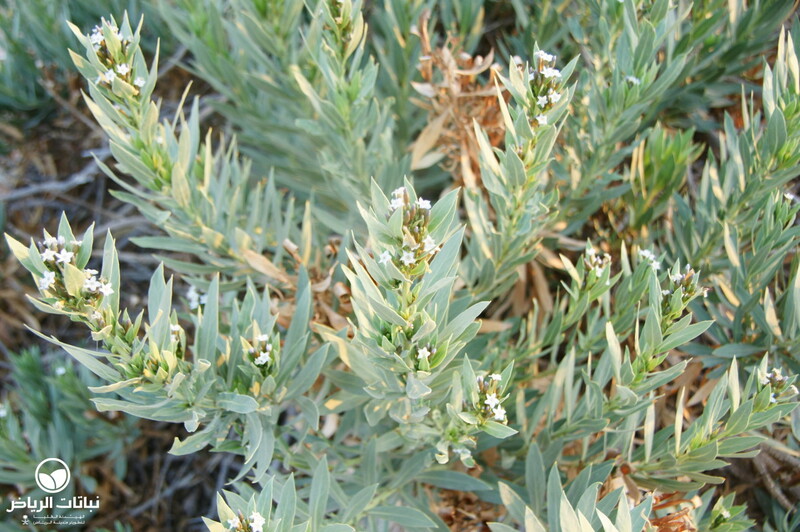 With its dark-green foliage, it is eye-catching and a welcome sight in the harsh sunlight of the desert landscape. 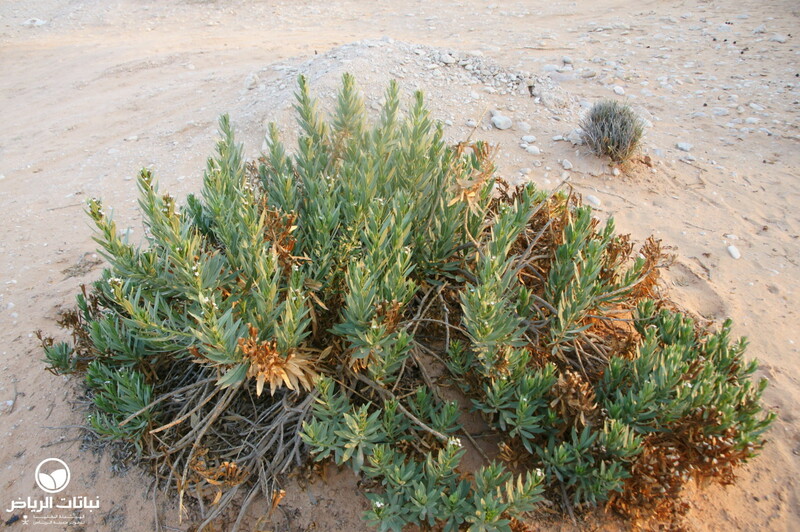 After long droughts, it may look a little straggly, because some evergreen leaves will dry out and become brown. 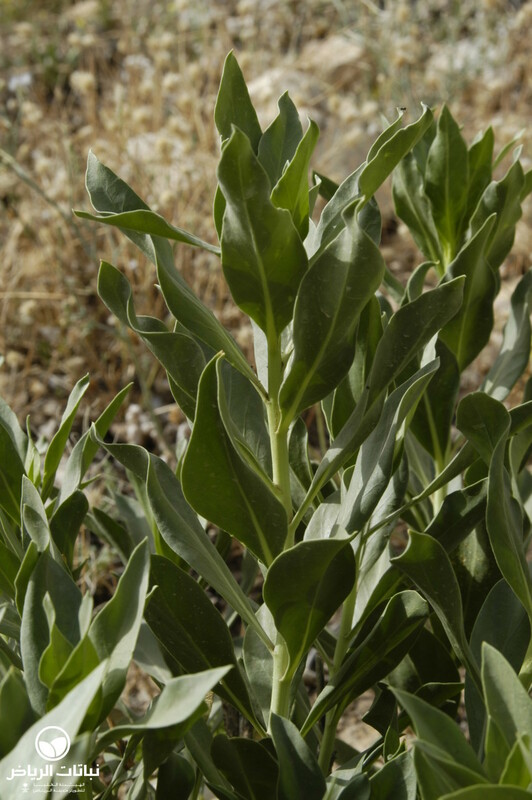 Even so, however, it can be recommended for use in landscape design in open situations as a coloniser, a bank and slope stabiliser and for environmental consolidation. 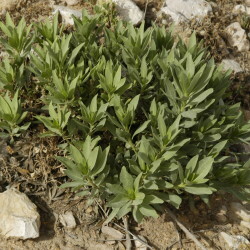 It is valuable to restore natural plant cover. 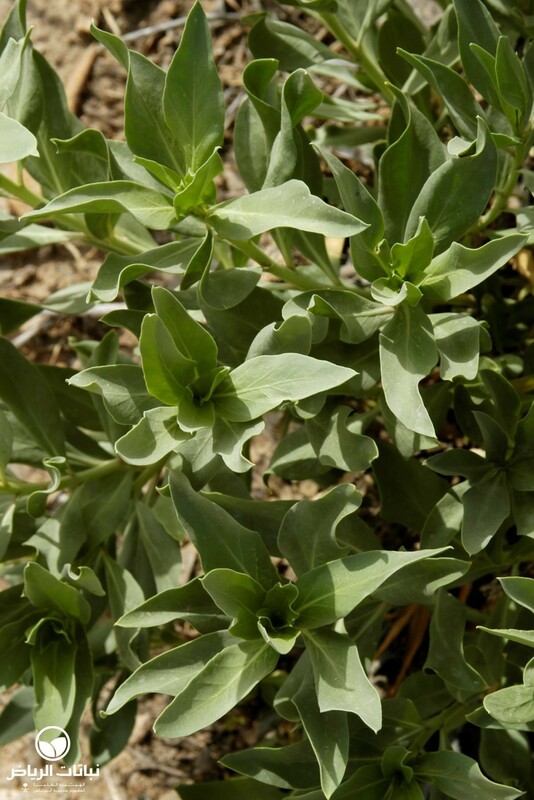 In inner-city locations with some irrigation, it will not dry out, and the foliage will remain green. Some pruning will be necessary. 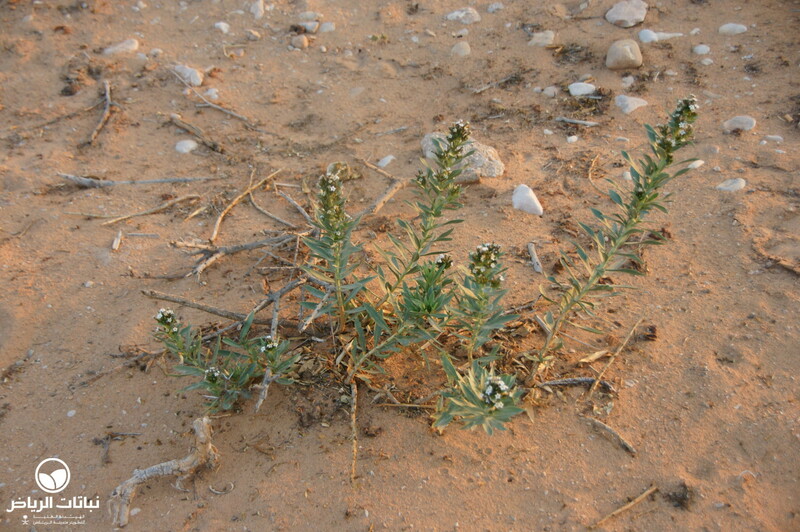 It can be considered for natural themes or in situations where other plants are struggling because of hard site conditions, e.g. roadside greening.